Head of Donetsk Regional Military Civil Administration Pavlo Zhebrivsky announced that the European Union plans to allocate 50 million euros for Donetsk and Luhansk regions in 2018 for decentralization programs and a number of regional projects. He wrote this on his Facebook page, referring to the head of the EU cooperation program in Ukraine Berend De Groot. "Money will be allocated primarily for decentralization programs, development of vocational and higher education and medicine, support of small businesses, strengthening of the safety component of communities," wrote the head of Donetsk region. 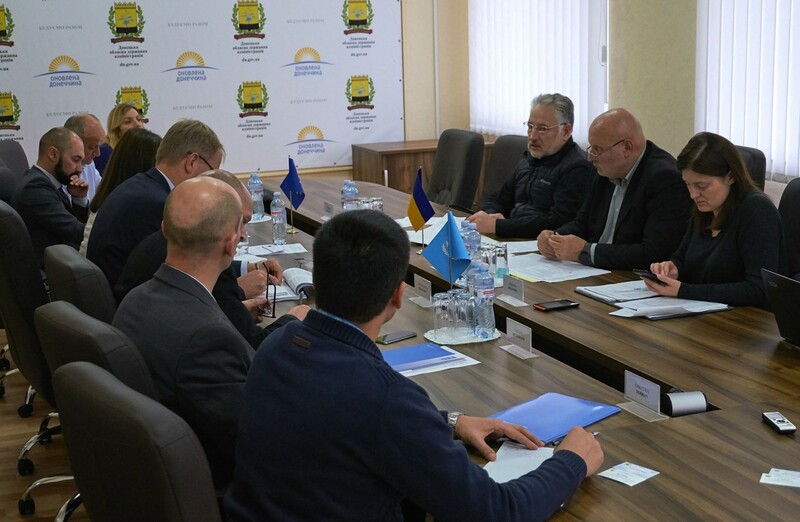 According to Zhebrivsky, he had a fruitful meeting with the joint delegation of the EU and UNDP missions in Ukraine - B.de Groot, the director of the United Nations Development Programme office in Ukraine Jan Thomas Hiemstra, the UNDP program manager and the head of the Project Office, Victor Munteanu. As it was reported ealier First Vice Prime Minister of Ukraine Stepan Kubiv and Head of Support Group for Ukraine Peter Wagner signed two agreements on cooperation between the government of Ukraine and the EU. The agreement of the financing of the program on the technical cooperation of 2017 considers the provision of the support for the government by the EU to increase the potential of the public authorities towards the implementation o the Association Agreement and Deep and Comprehensive Free Trade Area with the EU. According to the conditions recorded in the agreement, the financing of the number of the procedures on the adaptation of the Ukrainian legislation to the EU law is provided as well as the effective workout and implementation of the reforms.